Ragi and rice flour balls served with Sambhar or Averakai Huli. Cook the rice in salted water till well done and soft. On low heat add ragi flour into the pot of rice, little by little, stirring briskly to prevent lumps. Cook this mixture on low heat for two minutes. Mash the mixture while adding the ghee. Take the mixture out on a plate and allow to cool slightly. 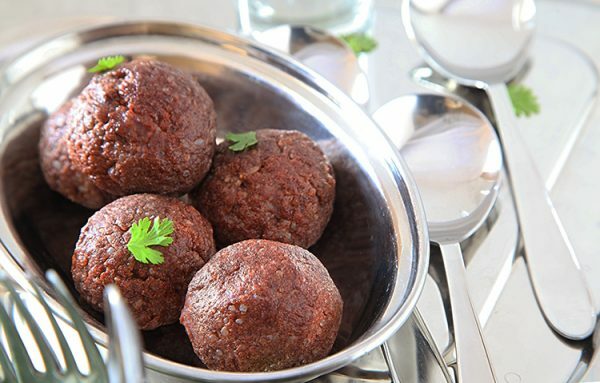 Apply a little ghee on your palm and roll the mixture to make balls of ragi. Serve the ragi with sambhar (lentil based vegetable stew) or averakai huli (flat bean curry).